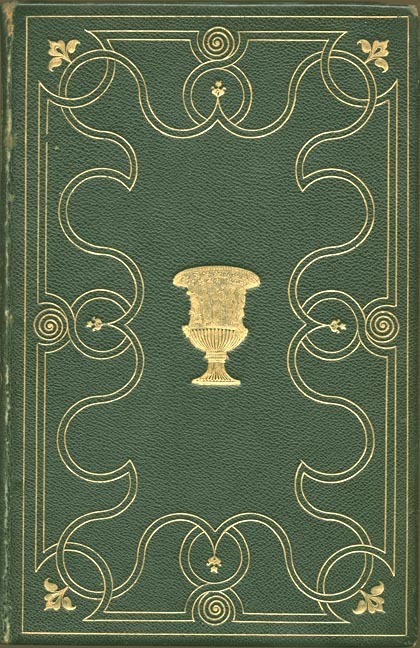 This handsome full leather binding may have been intended as a gift book, but the beautiful design and extreme precision of the gold-stamping — particularly the Green urn — suggest it could have been bound by the purchaser, too. [GPL]. Photograph and text by George P. Landow. Rogers, Samuel. Italy, A Poem. Illustrated by Turner and others. London: T. Cadell and E. Moxon, 1830.